Conventional wisdom has it that regular vomiting is normal, but a recent study says otherwise. 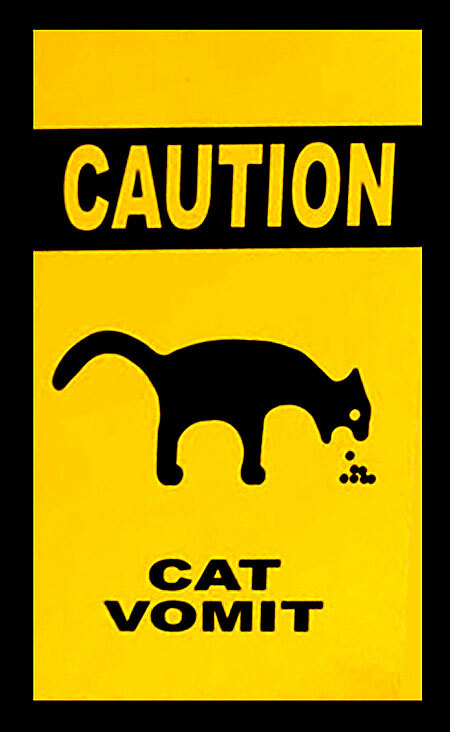 It is conventional wisdom that cats throw up. Everyone who has ever owned a cat has experienced the horrible feeling of being awakened in the dead of night by the sound of the cat barfing. And everyone who has ever owned a cat knows that cats have so-called substrate preferences. This means, in simple terms, that they prefer to vomit on the most expensive and easily damaged item in the house. If such an item is not available, they prefer to vomit in a location where a bare foot will encounter it in the dark. 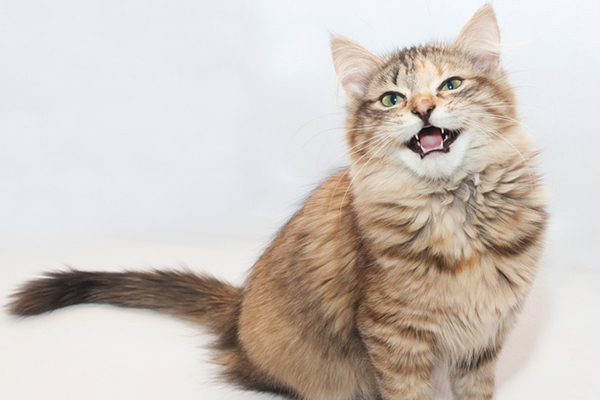 Lots of cats throw up regularly, and many people and even veterinarians consider it normal. 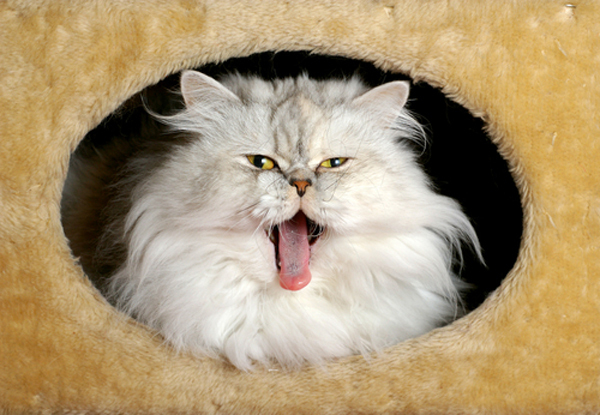 It is commonly said among vets that some cats are simply pukers. But here’s the thing: Regular vomiting is not normal. Not in people, and not in cats. This includes hairballs. I will grant that everyone vomits now and then. 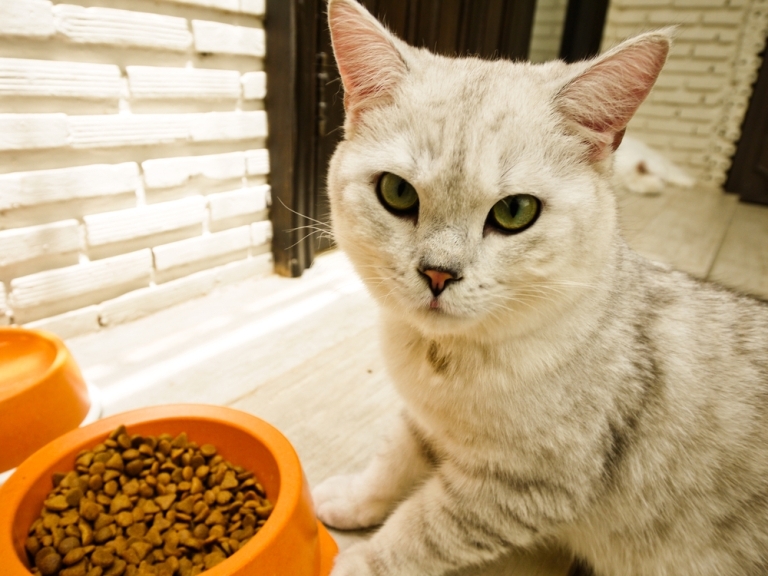 Viruses, bacteria, and toxins in spoiled food can cause vomiting in us and our feline friends. Cats, mercifully, don’t generally find tequila palatable so this source of vomiting isn’t common among them, even when they live in dorms. So vomiting a couple of times a year might not be surprising. But a couple of times a week, or even a few times a month? Not normal. Regularly bringing up hairballs? Also not normal. Let’s talk about the hairball fallacy for a bit. There is a myth that cats with long hair naturally vomit hairballs. Let’s deconstruct the myth. First, anyone who has owned both short- and long-haired cats has probably noticed that most short haired cats actually shed more. This is why they’re short-haired: The hair grows to a certain length and then falls out. The fur of their long-haired brethren is less likely to be shed. That is how it gets long. Next, remember this: All cats groom. They all swallow hair. Lots of it. (Except for Sphynxes and other hairless varieties, that is.) They are designed to consume lots of hair. Cats with healthy intestinal tracts pass the hair through the system and eliminate it as feces. Regular hairball vomiting is a sign that the system isn’t working properly. Enter the researchers. 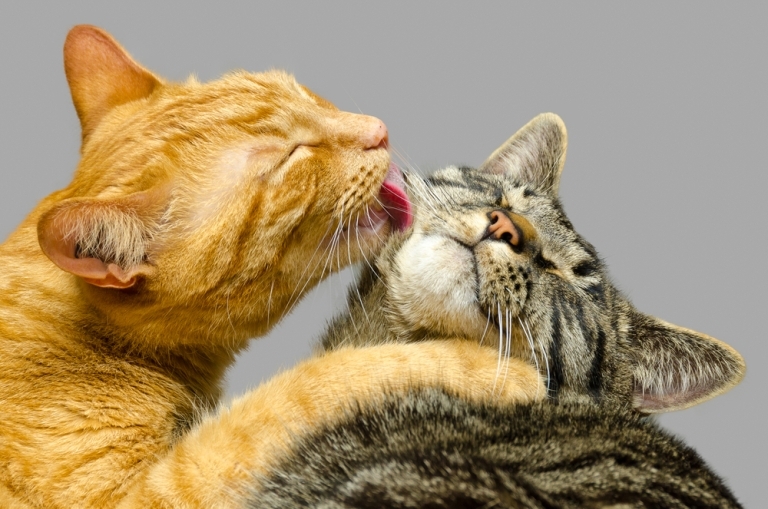 A recent paper in the Journal of the American Veterinary Medical Association (JAVMA) reviewed the cases of a number of cats who were frequent vomiters. They performed bloodwork, advanced imaging and, in many cases, biopsies of the intestines on the cats in question. The authors’ conclusions were straightforward. 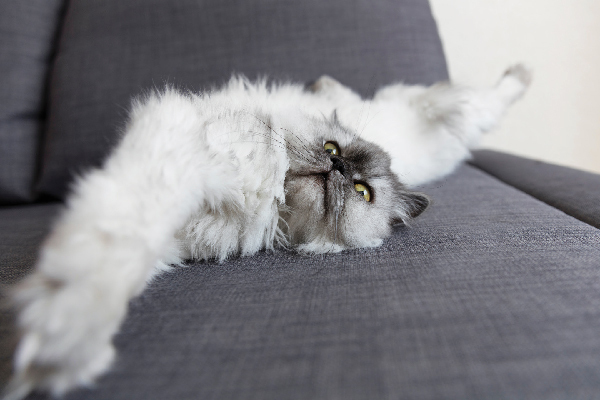 Regular vomiting, including that of hairballs, is not normal in cats. It can be a sign of conditions ranging from inflammatory bowel disease (also known as IBD, probably the most common cause in my experience) to pancreatitis, so-called triaditis (a combination of IBD, pancreatitis, and bile duct issues), and on to scarier diagnoses such as cancer. Lymphoma was the most commonly diagnosed cancer, but one cat with hairball problems had a carcinoma (tumor) partially obstructing his intestines. The authors, being ivory tower types, had somewhat predictable advice for vets out in practice. Take regular vomiting seriously. Recommend bloodwork, ultrasounds and, if necessary, biopsies for cats who throw up frequently. I’ll happily sign off on the bloodwork (specifically, for your information, I recommend the following tests: complete blood count, serum chemistry panel, thyroid level, feline pancreatic lipase, trypsin-like immunoreactivity, cobalamine, and folate) and ultrasound recommendations. Bloodwork and ultrasound exams are non-invasive and quite harmless. They often can lead to a conclusive diagnosis without going any further. However, sometimes the results are equivocal. The researchers recommend biopsies in these instances. However, you may want to do some soul searching before moving forward with biopsies. Biopsies of healthy intestines are quite safe. However, unhealthy intestines may not heal well and complications are possible. Regular vomiters may not have healthy intestines — that is the whole point here. And, in fact, it’s not unreasonable to consider something more simple before even starting testing in the first place. Most young frequent vomiters will, if tested, be diagnosed with inflammatory bowel disease. The simplest and most highly-recommended treatment for IBD is diet change. Hypoallergenic or so-called elimination diets are recommended. 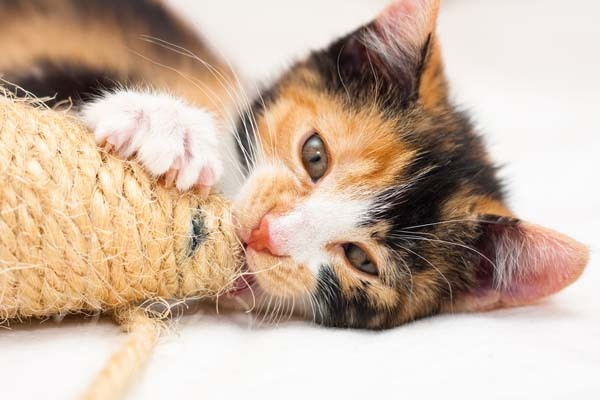 If your young cat is vomiting regularly, a diet change might reduce the frequency of the problem dramatically over a period of several weeks to months. However, if your cat is older, or if a diet change does not have a significant effect, then I recommend a trip to the vet for some tests. 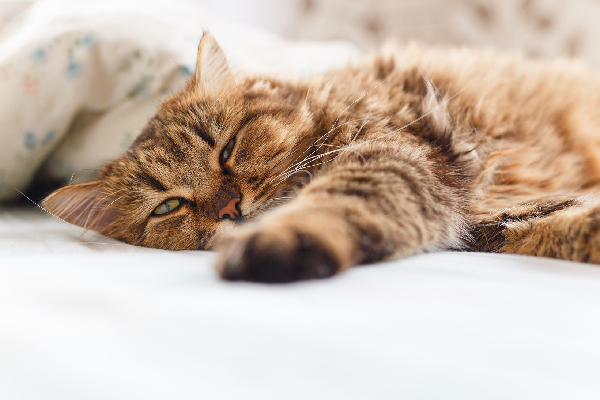 Many of the conditions that cause frequent vomiting are treatable, and treating them can stop their progression and significantly improve your cat’s quality of life as well as your own. After all, who likes to vomit? And who likes to step in it?